A lana and Louis love the cold! So what better place to elope than high above the mountains in Queenstown in August. 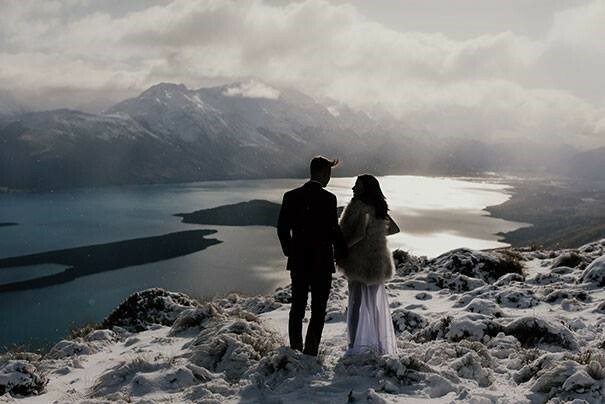 Flown up by Over the Top Helicopters from Matakauri Lodge, they exchanged their heartfelt vows in the snow on Geordie Ridge, a spectacular mountain ridge high on Mt Creighton Station. A dream come true.